Step out in town in Rhapsody Jumpsuit and you'll instantly be the talk of the town (in a good way)! Completed with flared organza sleeves that is fully lined for your comfort, we are just so in love with every single detail of this piece! The V-crossover neckline brings out the woman in you. 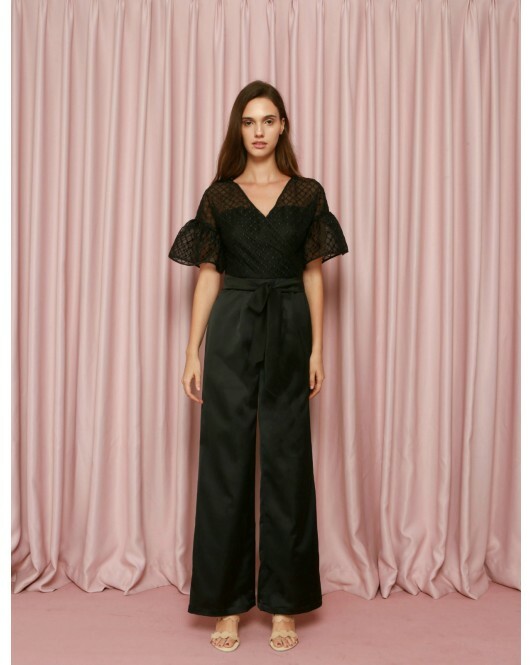 The flare sleeves gives a feminine yet powerful look, and there's a reason why we only create this piece in Black... Comes with a detachable belt that you can add or put away according to your liking.